If you're in the market for a dependable work van that will help grow your business, consider the 2017 GMC Savana. It offers ample storage space, useful towing and high-tech features that will make your drives more enjoyable. 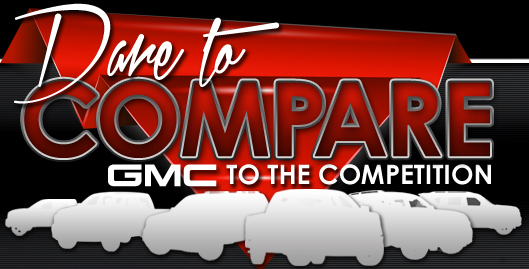 Continue reading our 2017 GMC Savana review to see if this is the right work van for you. 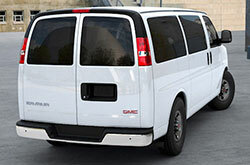 Available in Cargo Van, Passenger Van and Cutaway, the 2017 GMC Savana in the Phoenix area gives buyers plenty of options. 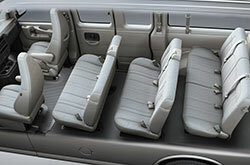 The top-selling van is also offered in two trims: LS and LT. Standards include 16-inch steel wheels, rear privacy glass and rubberized flooring. Keyless entry, rear air-conditioning and heating, full-length carpeting and chrome exterior accents can be had on the LT. If you're looking for more amenity, 2017 GMC Savana reviews recommend going with options like heated mirrors, six-way power fronts seats, remote ignition, Bluetooth and navigation. The 2017 GMC Savana in Scottsdale lets shoppers choose between two engines. For starters, there's a 285-horsepower 4.8-liter V8 that makes up to 295 pound-feet of torque. For more power, we suggest choosing the 342-horsepower Vortec 6.0-liter V8, which is capable of making 373 pound-feet of torque. No matter which engine you choose, both are paired with a six-speed automatic. When properly equipped, towing capacity maxes out at 10,000 pounds. Every new Savana comes standard with an army of airbags, a tire pressure monitoring system and OnStar, which provides turn-by-turn navigation, roadside assistance and automatic crash notification. A rearview camera and rear parking sensors can both be had for an extra cost. 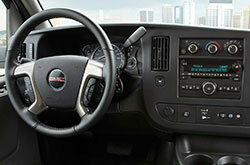 Visit us at Van Buick GMC today to view our selection of GM work vans for sale in the Phoenix metro area! 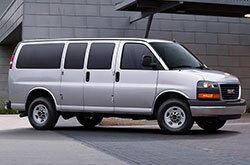 Is the GMC Savana a Great Pick for You & Your Budget? If you're on the lookout for the 2017 Mercedes Benz Sprinter, Ford E Series and the Nissan NV in the Phoenix area, you should also take the 2017 GMC Savana into consideration. You could end up liking its first-class cabin amenities and finely crafted exterior design among other qualities. Look over our review to see if the 2017 GMC Savana is right for your express needs. Also take a glimpse at the latest finance offers available at Van Buick GMC! For new and well-maintained used cars, choose us to find a desirable selection, which includes the inimitable GMC Savana. Our thorough review makes it easy for you to access the details you need, and we hope it is beneficial when it comes to making a confident vehicle purchase. 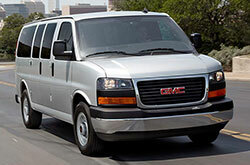 Browse our massive selection of GMC Savana models online. Then visit Van Buick GMC for a test drive. Do you want to see its interior before you visit? 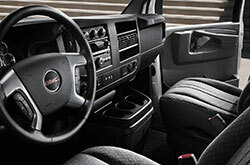 Watch our video clip to get a peek at its interior features!